Wed., Aug. 15, 2018, 10:15 a.m.
WASHINGTON – U.S. manufacturing output rose a solid 0.3 percent last month, led by increased production of cars, electronics, and appliances. The Federal Reserve said Wednesday that overall industrial production – which includes output at mines and utilities as well as factories – increased 0.1 percent in July after climbing 1 percent in June. Production slid 0.3 percent at mines and 0.5 percent at utilities. Factory production has risen at a healthy pace this year, though economists worry that it may not last. 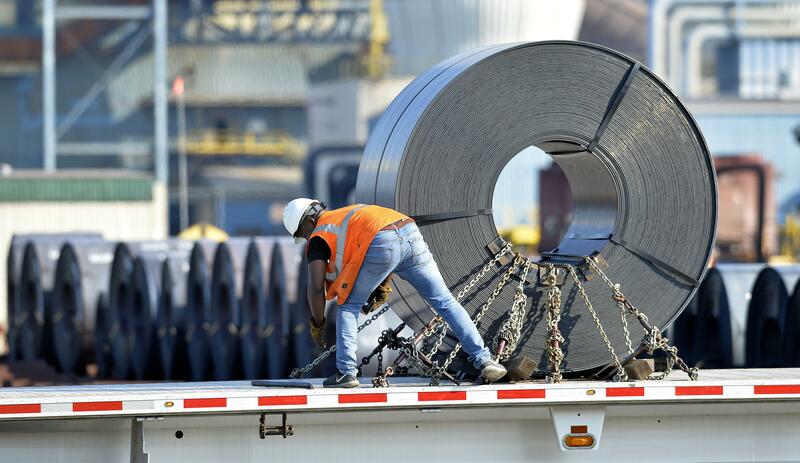 President Donald Trump’s imposition of tariffs on steel imports and on $34 billion of products from China has sparked retaliatory duties, which may limit exports. And the dollar has increased in value against other currencies, which could further hurt exports by making U.S. products more expensive overseas. “The appreciation of the dollar so far this year means that growth in the factory sector appears set to slow further over the coming months,” Michael Pearce, senior U.S. economist at Capital Economics, said in a research note. The July reading for industrial production fell short of economists’ expectations. But it is still up 4.2 percent from a year earlier. Despite the drop last month, mining has surged 12.9 percent since July 2017. American industry has looked relatively healthy despite trade conflicts with China, Europe and Canada, and a rising dollar that makes U.S. products more expensive abroad. Helped by tax cuts, the U.S. economy grew at a 4.1 percent pace from April through June, fastest since 2014. Employers are hiring, and unemployment is 3.9 percent, close to a 50-year low. But manufacturers are coping with labor shortages and supply disruptions connected to the ongoing trade disputes. Among other things, U.S. tariffs on imported steel and aluminum are raising costs for many manufacturers. Published: Aug. 15, 2018, 10:15 a.m. Tags: business, factory, industrial, july, national-business, news, U.S.